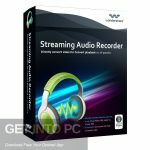 Apowersoft Streaming Audio Recorder is handy software which can record any online sound streams which are coming from different applications on your computer online. You can also convert them into different audio formats. Nowadays Audio Streaming has become a trend and most users are now using online radios and podcasts to listen. You can also download Virtual Audio Cable. So many a times user wants to record some program, song, speech etc. online, in order to do this Apowersoft Streaming Audio Recorder has provided the facility. 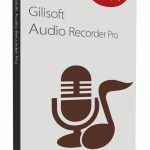 This application lets you record audio from other applications such as media player, browser or any other video games. Sometimes you don’t want to watch a full video to record its entire audio; this problem is also solved in this software. You can paste the URL of video in this application and it downloads the sound. This software is able to recognize a number of video streaming websites and then it can save the audio track on your PC. Furthermore you can change the ID3 tags attached to your MP3 files. On the ending note this application is fully loaded with the necessary tools to record the streaming audios. You can also download Gameplay Recorder. Below are some noticeable features which you’ll experience after Apowersoft Streaming Audio Recorder free download. 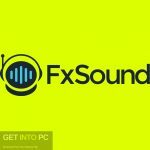 You can record any sound from your computer in best quality. 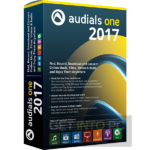 You can also convert the audio files into other audio formats. You can also download music from the famous Video streaming sites such as Youtube etc. It also provides an Audio Editor feature to edit the audios. You can choose your best songs from thousands of radio stations. 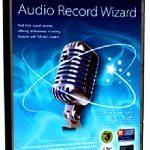 Before you start Apowersoft Streaming Audio Recorder free download, make sure your PC meets minimum system requirements. Hard Disk Space: 16.7MB of free space required. 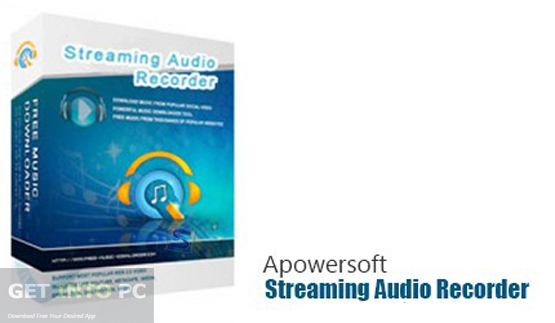 Click on below button to start Apowersoft Streaming Audio Recorder Free Download. 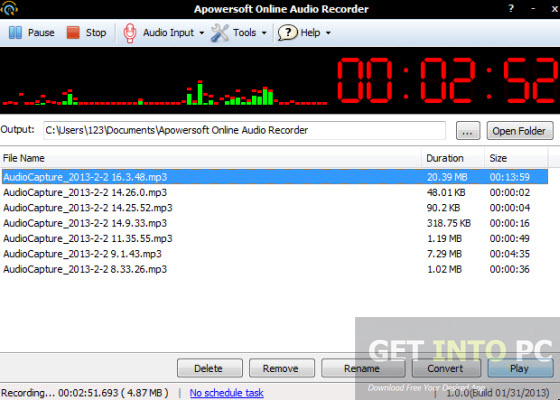 This is complete offline installer and standalone setup for Apowersoft Streaming Audio Recorder. This would be compatible with both 32 bit and 64 bit windows.